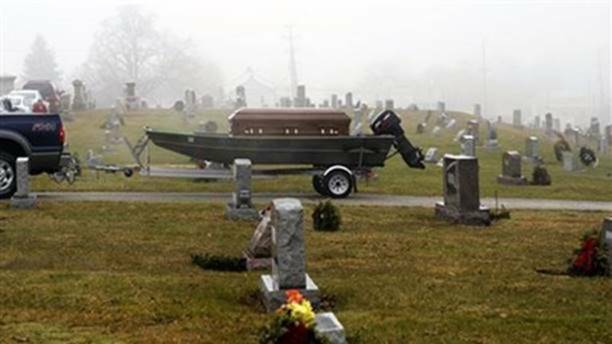 Kind of a cool way to take a casket to the cemetery. A funeral procession pulled into Pressley Cemetery. Several car loads of family members followed a black truck towing a boat with a coffin in it. "That guy must have been a very avid fisherman." "Oh, he still is," remarked one of the mourners.